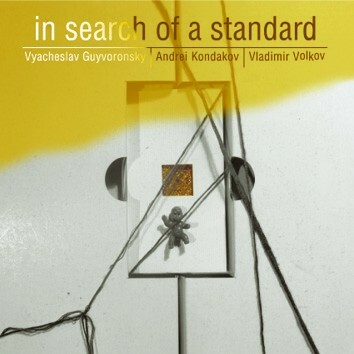 The three leading Russian improvisers (Vyacheslav Guyvoronsky - trumpet, voice, Andrei Kondakov - piano, percussion, Vladimir Volkov - bass) have been playing together for several years. This time they have come up with a special project to compose their original pieces with references to jazz standards. The sensitive ear will recognize glimpses of Duke Ellington or Miles Davies. However, they are not aping Americans. Their references are a part of their original compositions.